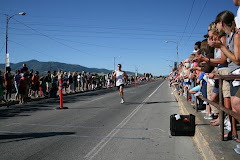 On Saturday I ran the Call of the Wild 5 mile trail race with visions of back to back wins dancing in my head. Last week, I won a sparsely populated (9 total runners) 5K and I felt my chances would be good today. Why, you ask? Well, last year I ran this event (it was four miles on a totally different course) and would have easily won if I hadn't taken a wrong turn at Albuquerque and run 6 miles instead. Oops. This year I was intent on staying on course and competing for the win. 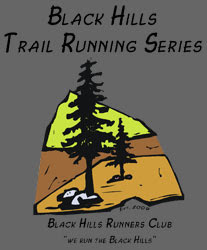 The race itself is a fundraiser for the Spirit of the Hills animal sanctuary in Spearfish, SD, which houses a wild variety of animals without any other home. Tigers, bears, lions, ducks, pigs, cats, dogs, goats, llamas....it's like a modern day Noah's Ark, you name it they either have it or have had it at some time. Most of them are either abused and neglected or were illegaly owned pets or former zoo animals. And it's all non-profit, totally operated by volunteers so they are very dependent on donations to stay in operation. There actually wasn't even a fee for the race today, but donations were accepted (yes, I did kick in some cash). This year's course started at the Passion Play parking lot in Spearfish and wound up and down through some meadows and the edges of the Black Hills National Forest eventually ending at the sanctuary itself. Sizing up the competition, which is always sketchy, I figured there would be two other runners who would push me for first. 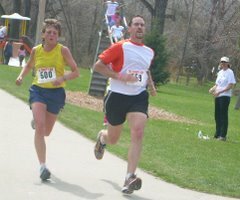 One was a guy, Mark, who got lost with me last year at this race (we were the only two). 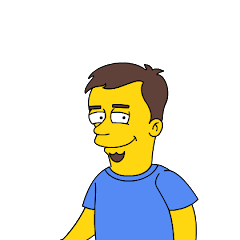 The other was Paul, who I work with and I know does a lot of trail running, trail triathlons and mountain bike races. A lady yelled go and we were off. Mark and another guy immediately took off into the lead with me and Paul not far behind as we started heading uphill immediately. I could tell from the start that this might be a struggle as my legs didn't feel all that great and running a long uphill to start the race wasn't helping. But, I maintained my position and within a quarter of a mile pushed into the lead. My hope was that if I went out strong enough, no one would be able to keep up and challenge me later. 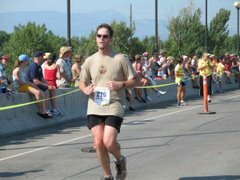 As it turns out, Paul, who is much more experienced at trail races (this being only my second one) ended up pacing himself much better. We kept heading up and up and then up some more until I finally had to stop and walk a short stretch to get my heart rate to calm down a little....it felt like I was about to bust a rib. Paul didn't catch me, but he got much closer. Paul did catch me just after the halfway water station and it was here that I learned just how badly I had paced the first mostly uphill half. As the course finally started to head slightly downhill Paul put on the afterburners and I was almost running all out at that point just to keep up. But, I eventually caught a second wind somewhere in there trying to keep pace with Paul. We ended up running a majority of the second half together and nearly got lost once as we ran across an open meadow without a trail and I just barely caught sight of some red flagging on a tree up off to the left. Up until that point we had been running mostly on vary faint two-track roads, but after the open meadow we hit a gnarly, technical single track trail complete with big rocks, exposed roots and low hanging branches. It was downhill on this stretch and once again, Paul kicked it into overdrive. I simply couldn't keep up here as Paul's trail experience won out....I was too damn worried about breaking an ankle to worry about keeping up with him. After this nasty downhill we only had about 0.1 mile to go, but it was the nastiest uphill I have yet encountered in a race. It was literally hands and knees, pulling myself up with trees and anything else I could grab. It was more akin to crawling than walking or hiking. I knew at this point that Paul was gone as my legs were so spent that it was all I could do to keep moving. The seemingly endless uphill finally ended and the finish line was right at the top. This is the first time I've ever walked across a finish line and I frankly didn't care because running in any form was totally out of the question by that point. 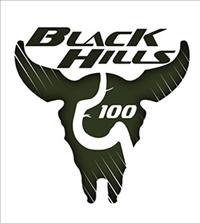 So, I finished second overall in a time of 45:44 and for my efforts got the best trophy I've ever gotten: a big polished Black Hills alabaster plaque, not bad for a race where there wasn't even an official entry fee. 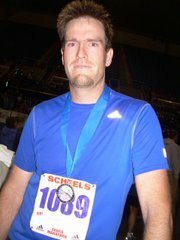 Next week, on to the Monumental Challenge Marathon for my third and final 26.2 of 2007.